We’re always proud of our team at The King and Prince Golf Course but today we’re extra excited for one guy in particular! Chuck Moore, Superintendent at the award-winning King and Prince Golf Course, St. Simons Island, Georgia for 23 years ~ has received the coveted award of ‘Superintendent of the Year’ 2017 from Georgia GCSA (Georgia Golf Course Superintendents Association ~ founded in 1949). A graduate of Abraham Baldwin Agricultural College in Tifton, Georgia, Moore received his turf degree while completing a fall internship at the King and Prince Golf Course, and then graduated with honors. 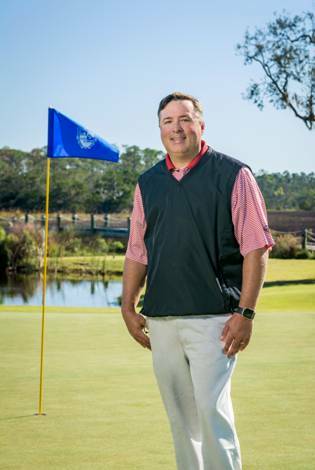 His long career that began as part of the golf maintenance crew in 1995 brought him full circle back to St. Simons Island as head superintendent in 2000 where he has excelled throughout numerous renovations and golf course transformations. In an organization with approximately 400 golf courses throughout Georgia, the Georgia Golf Course Superintendents Association selected Chuck Moore for this year’s honorarium. ‘The Georgia GCSA award is given to an individual who has expressed outstanding dedication, care and commitment to the Georgia Golf Course Superintendent Association, the golf industry at large and his/her community.’ The association has 735 individual members, one of the largest chapters within the Golf Course Superintendents Association of America. 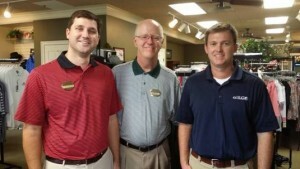 Chuck and his team take meticulous care of 90 acres of golf course land located at the north end of St. Simons Island. Chuck’s responsibilities include everything outside of the clubhouse: grasses, bunkers, tee markers, lake banks, trees, woods, fairways, greens, practice facility, iconic marsh island holes and overall property maintenance. According to Rick Mattox, General Manager and Director of Golf at The King and Prince Golf Course since 1990, “Chuck is the finest man I have known in my golf career. Receiving this lifetime honor and being recognized by his peers that very few people get to experience, he wears the banner of his association with great pride along with his deep love of his family. We are all honored to know and work with Chuck”. We invite you to set up a tee time so you can come see Chuck’s hard work for yourself! Learn more about our award winning course here. GolfAdvisor has named The King and Prince Golf Course one of the top 50 courses in the U.S. for 2014. We are honored to be included on this list! Click here to view the full article. The award-winning course is renowned for its challenging layout amongst ancient forests, vast salt marshes, dramatic island holes, and a vast lake characteristic of the 9th hole, overlooked by a comfortable clubhouse. 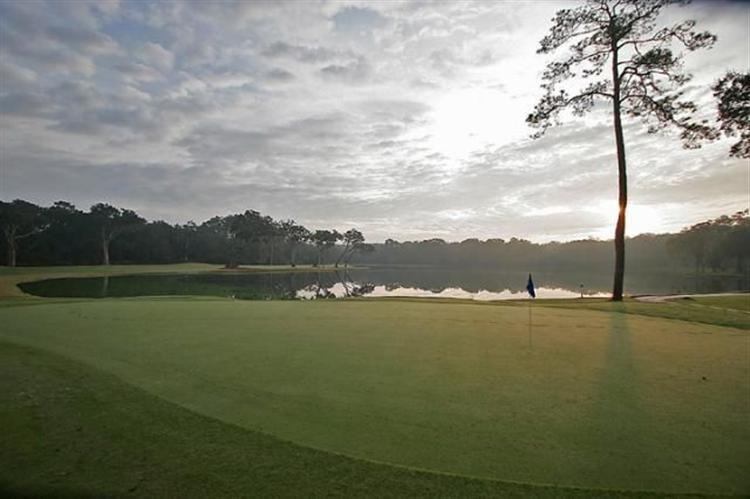 With its welcoming clubhouse and exceptional staff, the King and Prince Golf Course is the perfect location for your next coastal Georgia golf vacation. For more information on our golf course on St. Simons Island, visit our website. This August, The King and Prince Golf Course is celebrating 25 years! During the past 25 years, the 18-hole golf course has stood the test of time. 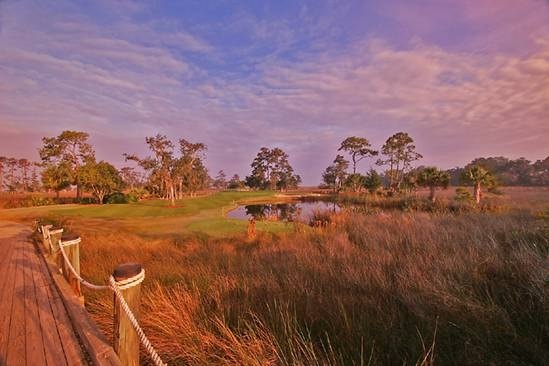 The Joe Lee design includes 4 salt marsh island holes connected by 800 feet of elevated cart bridges, and has the rare quality of playability for all ages regardless of their handicap. In 2009, The King and Prince chose noted golf course architect Billy Fuller to spearhead a full restoration of the golf course utilizing the original Joe Lee drawings. Fuller did a magnificent job of enhancing the project and protecting the integrity of the original design. He added a few new bunkers, a 5th set of tees and utilized four new grasses on the tees, fairways, bunker collars and greens. 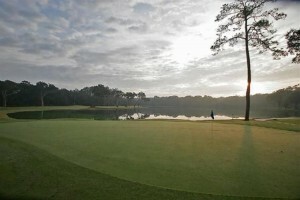 The course reopened in the fall of 2010 to rave reviews. We are proud to recognize that the next 25 years will promise future generations of golfers a truly unique and memorable experience. 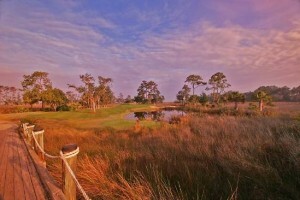 St. Simons Island is a golfer’s paradise with over 200 holes of golf to be played in the area. Add to that sunny weather, sea breezes, great fishing, shopping and dining and you’ve got the perfect spot for your next golf group getaway! Choose Your Accommodations. 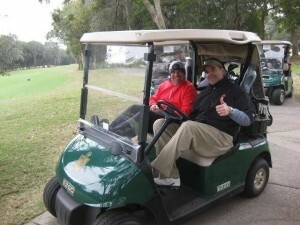 Our resort is able to accommodate any golf group, no matter how large or small. We have a 3 bedroom townhome located on our golf course for groups of 6 as well as the 5 bedroom Hampton House located at the resort for up to 10 couples. If you are looking for more room, our sales managers can set aside a block of rooms and villas so your guests can choose where they would like to stay. Ready, Set, Golf! The King and Prince Golf Course is a short 20 minute drive from the resort property and is available for resort guests and the public to play. Course manager Rick Mattox is able to set up a day of golf for you and your friends, PGA Pro instruction or even a friendly tournament! There’s no need to rush back to the resort for lunch, as the course has a restaurant for your convenience. Explore The Island. Enjoy your time off the course by exploring St. Simons Island. Let the men try their hand at salt water fishing while the women shop at the many stores and boutiques located on the island. Book your golf group today! Give our sales office a call at 912-638-3631 for more information. Mr. Rick Mattox, one of America’s most respected PGA professionals, has been leading the King and Prince Golf Course at the Hampton Club for 25 years. Mattox, General Manager and Head Professional, who was honored in 2011 to receive the Bill Strasbaugh Award (presented to PGA members who have shown outstanding integrity and commitment to mentoring) has brought two new members to his island golf club team. Born and raised in Athens, Georgia, Cole was ‘on course’ with his family before he even took his own first steps. He played collegiately at the University of West Georgia through 2006 and knew that golf would be a main frame in his future. He began his PGA work at the private San Jose Country Club in Jacksonville Florida as assistant Golf Professional and the Outside Service Manager. Cole moved to Sea Island Golf Club in 2011 where he completed his PGA work and became a Class A Professional. At the King and Prince Golf Course “Home of the Hampton Club”, he is the First Assistant Professional where he is working directly with Mattox to help build and grow both the experiences and opportunities for club members and guests. Cole and his wife Courtney, daughter Palmer (age 5) and son Parker (age 1), are enjoying life in the Golden Isles and all it has to offer for their young family. JB is a native of Hartwell, Georgia where he grew up in the golfing industry. His father is a superintendent and his mother is the Executive Director of the Georgia GCSAA chapter. He received his BA degree in Biology from Emmanuel College and Masters Degree from the University of Georgia in Turfgrass Science. With his passion focused on golf course superintendent, he also worked on his PhD for 1.5 years at the University of Missouri. JB is pleased to be working under Chuck Moore, Golf Course Superintendent where he is already serving the members and learning to manage the crew to maintain premier playing conditions at the Club. JB and his wife of one year, Crystal Workman, are very excited to be back in Georgia. It’s no surprise that Mattox cares about his club members, visiting golfers, employees and the golfing industry. The Bill Strasbaugh Award recognized his impact on the career of others, obviously well deserved as his newly developed lineup move forward together into 2014. Annette White has done a series of posts about The King and Prince and St. Simons Island on her blog. 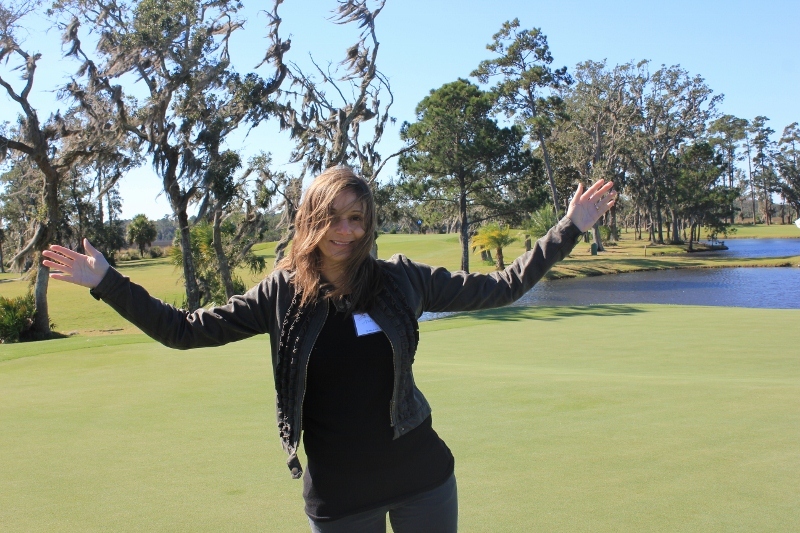 Her 3-day stay included a guided tour of The King and Prince Golf Course. The unique location of our course, which includes 3 “island holes” in the marsh, lends itself to an abundance of wildlife. Even if you or your companion is not a golfer, enjoy the simple pleasures of riding in the cart and spotting an eagle’s nest or sunbathing gator.